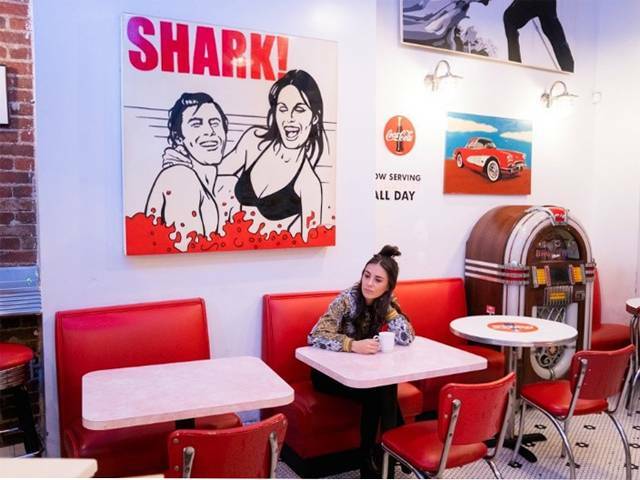 Amy Shark has released the brand new video for All Loved Up, the Gold Accredited single taken from Amy's #1 ARIA album and ARIA Award nominated debut, Love Monster, which is officially accredited with Gold sales in Australia. The video for 'All Loved Up', co-written and produced by Jack Antonoff, was shot in LA by U.S. Indie Pop music director/photographer David O'Donohue (Sasha Sloan/COIN). A dreamy vision, encapsulating the song's meaning and feel. When asked about the video, Amy comments: "The video for 'All Loved Up' is a long time coming…When I finally had some down time in Los Angeles after my tour I was excited to work with David O'Donohue. He sent through a really cool idea that I was keen to explore with him. I wanted the video to look both moody and dreamy and he managed to create that world with beautiful performance shots and mystery. I'm so happy to share this video!" 'All Loved Up' is the second single from Amy's debut album, LOVE MONSTER, the follow up to 2 x Platinum 'I Said Hi' which has been streamed over 37 million times globally. LOVE MONSTER was officially accredited with Gold sales this week, one of only three Australian albums to have reached the accreditation this year (Keith Urban, Vance Joy). Upon hearing the news, Amy remarks, "It's incredible that I've even been able to release a debut album with the support I have from my team and fans, and to hear it's officially now a Gold accredited album this is an absolute dream for me." One of the biggest years in Amy's career to date, Shark is leading the nomination tally at this year's 2018 ARIA Awards with Apple Music, with a total of nine nominations including: Apple Music Album Of The year, Best Australian Live Act, Best Female Artist, Best Pop Release and Apple Music Song Of The Year with 'I Said Hi'. The Queensland Singer/Songwriter has already toured the US twice this year and played her largest Australian headline shows, all of which were sold out. Amy will tour Europe early next year with tickets available at www.amyshark.com. Fans can vote for the Apple Music Song of the Year by playing their favourite song on Apple Music and by streaming the Song Of The Year playlist here. Additionally, to make your vote count for Album Of The year listen now on Apple Music.